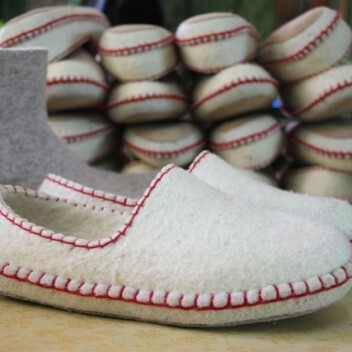 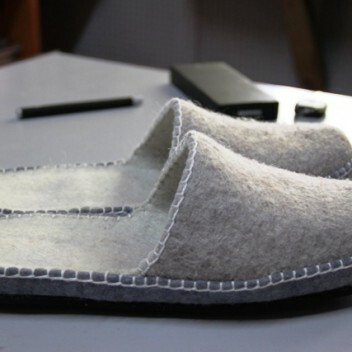 Angel Felting produce felted home slippers made of 100% Mongolian fine sheep wool. 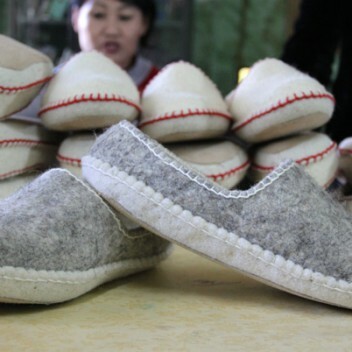 Mongolia has an endless landscape, where the herders herd millions of happy sheep. 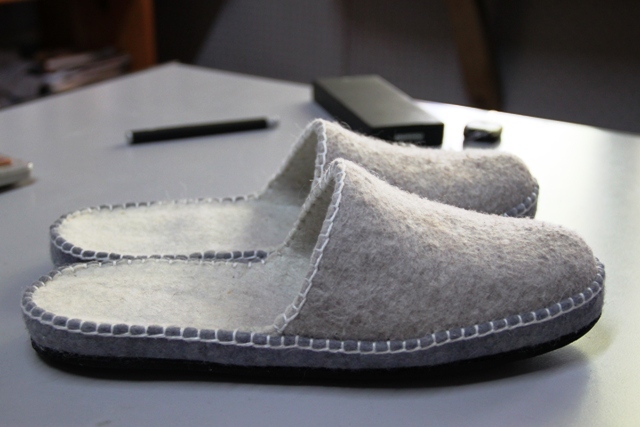 We collect wool every spring from the nomad herders. 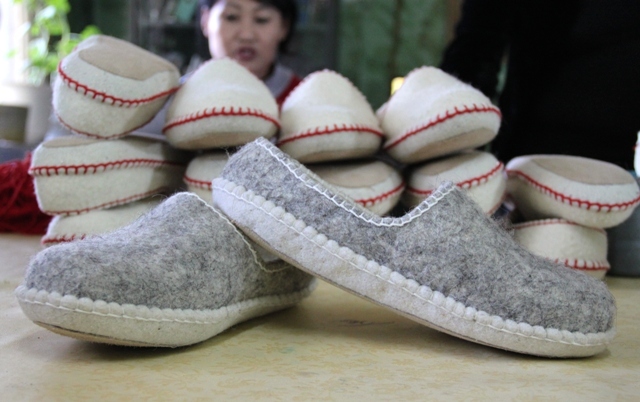 The felt making process is an ancient one for which we use an old method for producing modern products for everyday life; a beautiful combination of ancient times and modern life.Angel felting creates employment for families around the city of northern Mongolia. 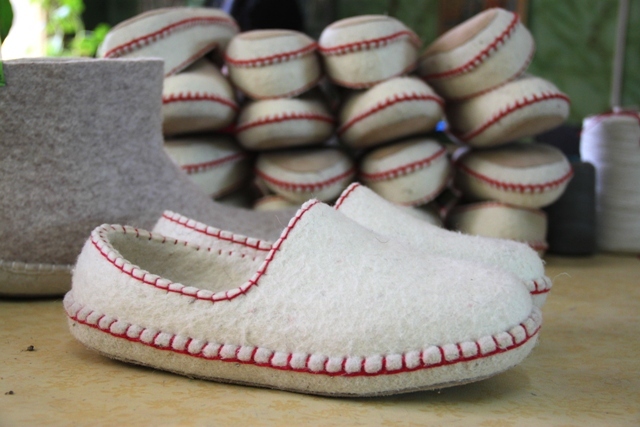 Our main goal is; happy working condition and happy environment.